Everyone loves freebies! This weekend, we have a fabulous iOS app for kids named CHOMP going free on the App Store as part of Apple’s Free App of the Week initiative. The title usually retails for $1.99 on the App Store but for a limited time, till next Thursday, it can be downloaded on your iPhone or iPad absolutely free. There is a plethora of children-oriented titles out there, but seldom do we come across a title that does things a bit differently and is well, not a game. 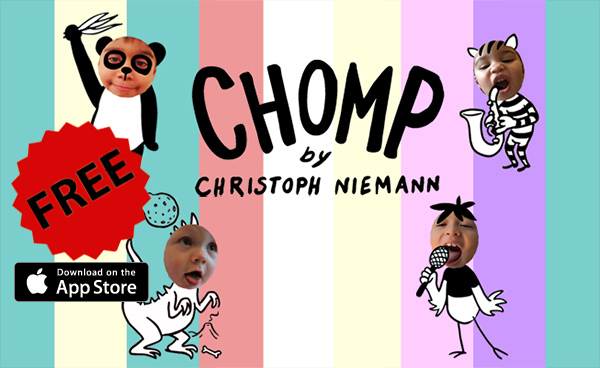 CHOMP by Christopher Niemann is billed as a “funny video stories for kids”. 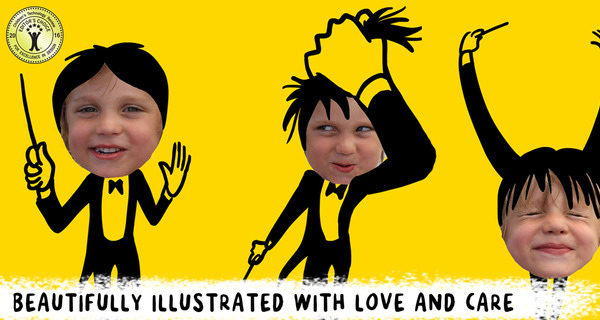 The app centers around hand drawn animations that come to life as part of the stories. The developer has added further life to this theme by allowing users to add their own face into the drawings, what this means is that kids will be able to use photos of their own self to bring the stories to life. The fun doesn’t just end there. CHOMP not only makes use of the photos, but also allows the addition of recorded sounds and music to the stories directly from your iPhone or iPad making sure that the creativity options are endless, which is often a tricky matter for titles of this kind. CHOMP not only inspires creativity in kids, but also gives the parents a chance to get involved in the action with their little ones given the universal appeal of the title. With over “50 hand-drawn scenes with countless funny animations” it is unlikely for anyone to not be amused by this offering. Being intended for children mainly, the developer has made sure that kids can find their way across the app easily and has put swiping right and left gestures as the core controls for navigation. 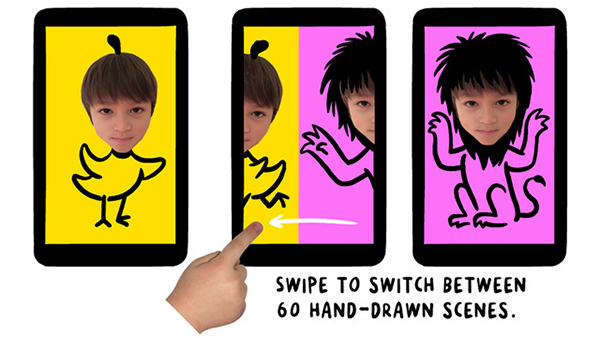 Children can swipe left and right to change animations. Tap the screen to see the fun. Grownups can open the camera menu in the bottom left to record videos. Tap to microphone icon to enable sound recording, use the large center button to start and stop video recording. CHOMP for iPhone and iPad can be downloaded for free from the link given below. Its piece of junk. I will pass.